A real estate appraisal is an evaluation of a home’s market value as determined by a qualified real estate appraiser. Appraisals are typically the basis for mortgage loans, and your lender will likely require an appraisal of the property to ensure that you (and they) are paying a fair price. An appraisal contingency, then, is a part of the Agreement of Sale that requires the home to appraise at or above the purchase price. 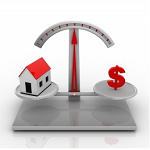 If you are getting a mortgage on a home, you will have an appraisal contingency. And even if you are paying for the home in cash, it’s usually a good idea to select an appraisal contingency in order to ensure that you’re paying a fair price, as determined by a neutral third-party professional. The appraisal itself is a detailed report evaluating the state of the market in the area, and comparing the home to other similar properties for sale. More often than not, appraisers arrive at a fair market value by comparing the subject property to similar homes that have recently sold. If the appraisal is of a new construction home, the appraiser may use the “cost approach” by determining the cost to build the home. More often than not, a home will appraise at or slightly above the price that you paid. Occasionally, however, the appraisal will come in too low. This often opens up a door for negotiation between buyer and seller, and sellers are often willing to come closer to the appraised value. A buyer also has the option to make up the difference between the appraised value and purchase price by paying the difference in cash (in addition to other closing costs). And if neither of those options are available, the good news (if you selected an appraisal contingency) is that you’re safe to walk away from the sale with your deposit money intact!